It’s always exciting to stumble upon innovation, to experience tomorrow’s technology and be reminded that everything is evolving. 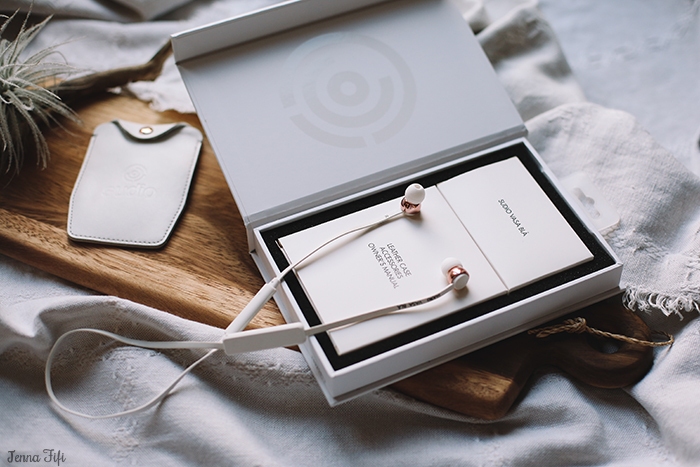 Earphones have remained uneventfully familiar right through my growing up, but the launch of iPhone 7 earlier this month brought to the forefront a very modern way to enjoy sound. 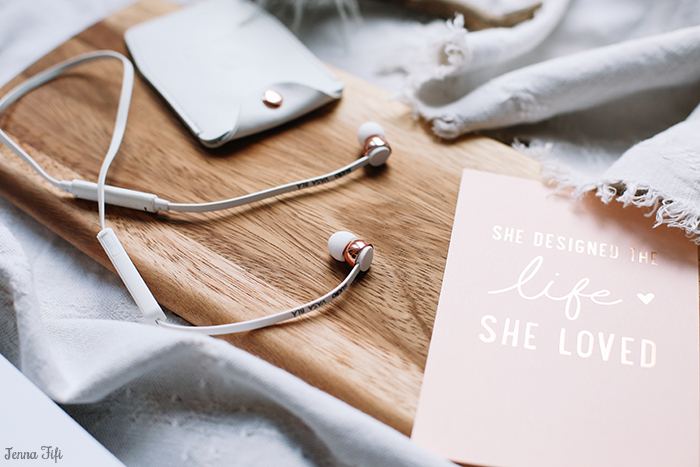 It’s easy to imagine how Bluetooth earphones can integrate into everyday life, letting us run, dance, work and ponder with full enthusiasm and movement. There’s no chance of getting wires tangled, or having your favourite tune rudely ripped from your ear as you jump from your seat. 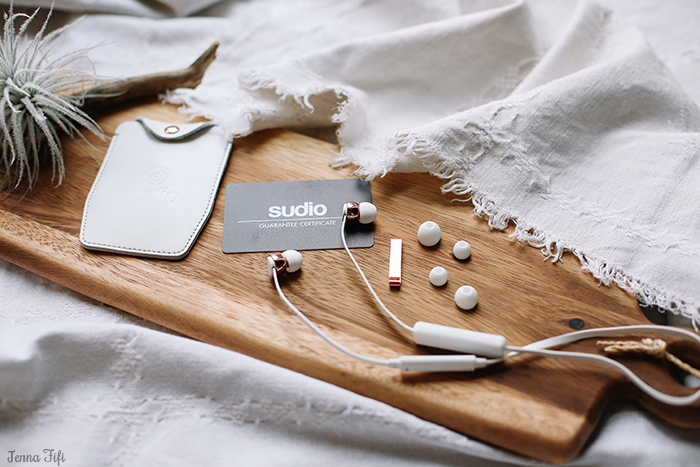 Wireless is definitely the way to go, and Sudio Sweden is a brand that’s leading the pack. 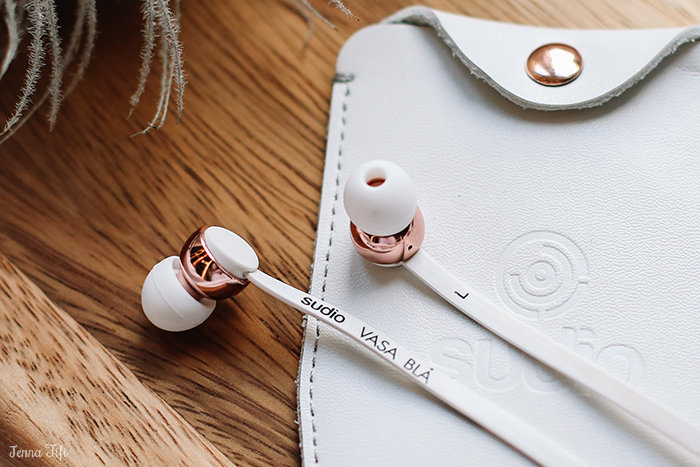 Designed with minimalism in mind, Sudio Sweden incorporates sleek style with exceptional sound quality. 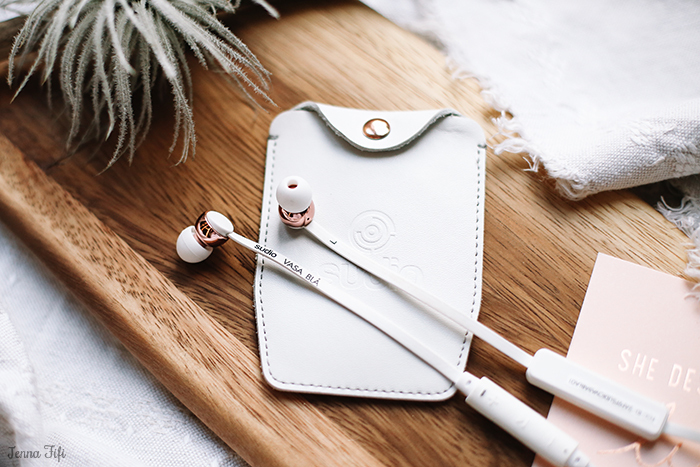 I have to admit, what first caught my eye was how beautiful and elegant the earphones were and I was hooked as soon as I read ‘Rose Gold.’ My own pair of Vasa Bla wireless earphones are sleek white with rose gold elements, but Sudios colours range from soft pink to jet black. 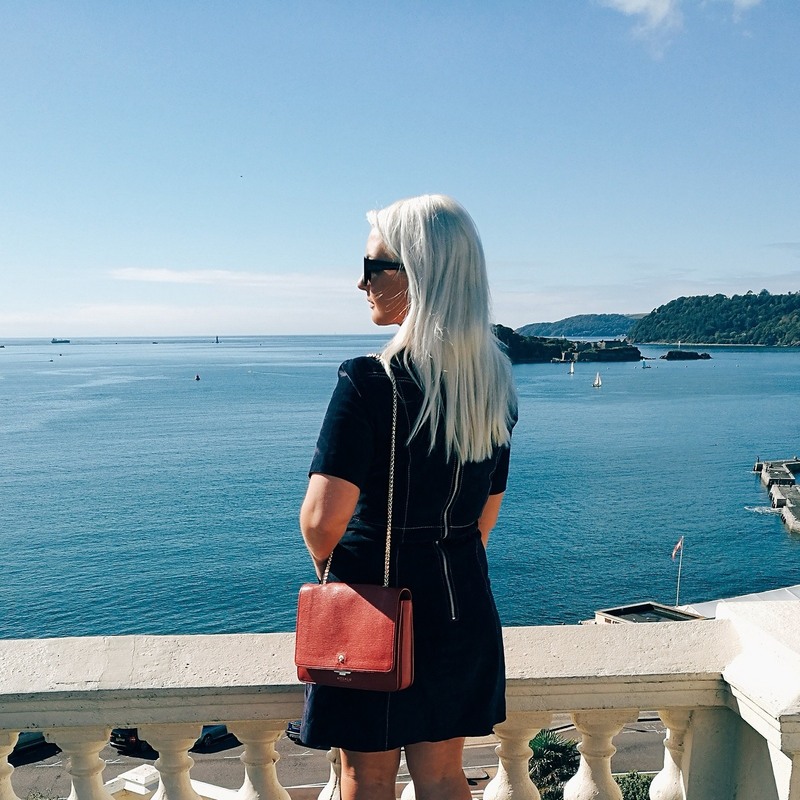 Inside the sleek packaging lies a leather carrying case, a metal clip and a charging cable. 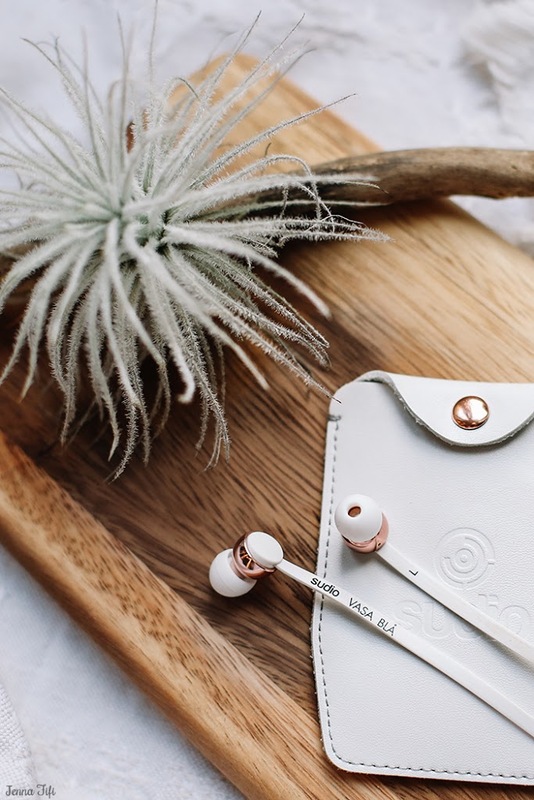 It also includes 4 extra earphone sleeves varying in size, to ensure a perfect fit in your ears and they are the lightest wireless earphones on the market. Even when I’ve worn them for several hours, they still feel perfectly comfortable unlike hard, plastic earphones. 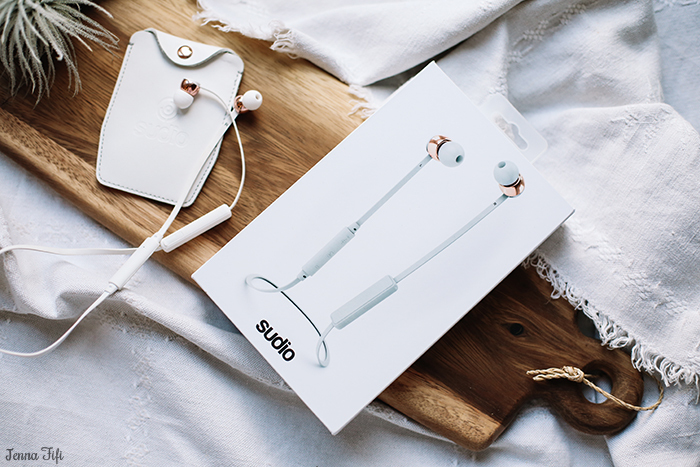 Sudio is already renowned for it’s signature sound, delivered by a carefully turned driver and amplifier. I wondered whether the addition of a wireless design and Bluetooth connection would sacrifice the sound quality, but I needn’t have worried. The Vasa Bla delivers outstanding sound with a true studio experience. Every instrument is strong and defined and every song sounds incredible! 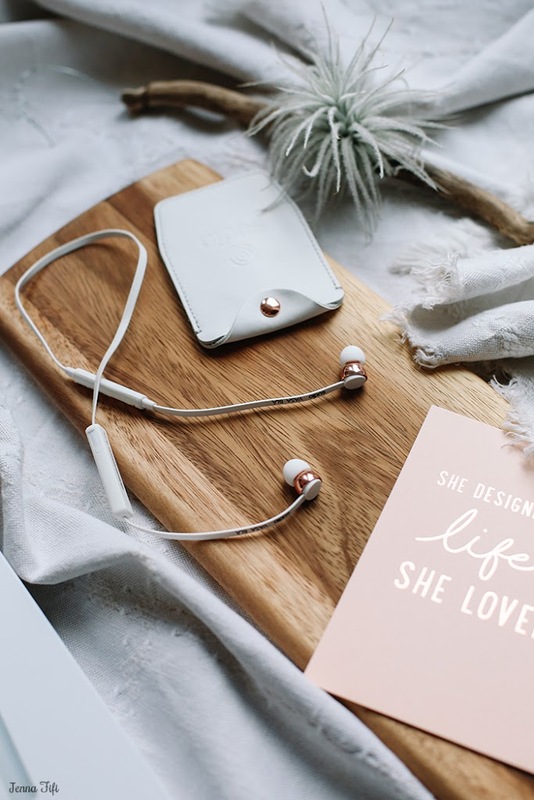 Connecting the earphones to any Bluetooth device – be it android or iPhone – is seamlessly quick and easy, and the battery time can last up to 8 hours with music playing, or 10 days on standby, then it’s just a case of recharging. That’s plenty of time for day-to-day listening, short commutes or long road trips. 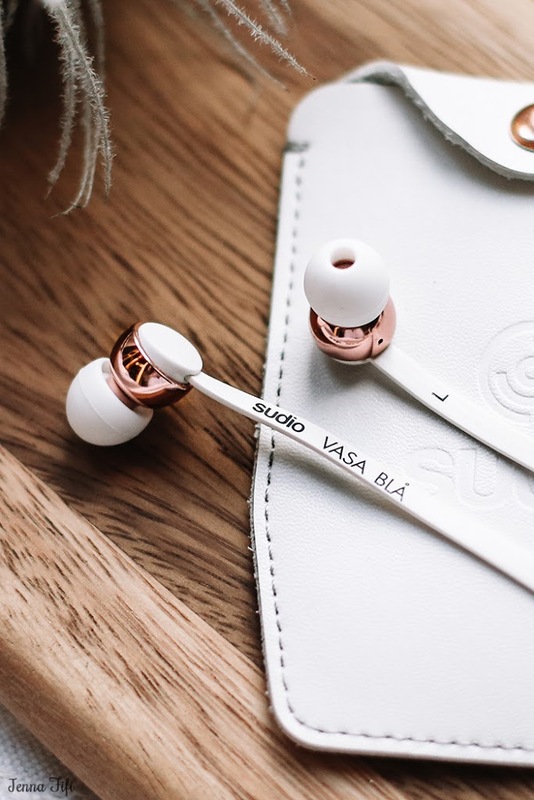 The Vasa Bla earphones have now found a home in my handbag, and I listen to them constantly be it when I’m getting ready in the morning, in the office or dancing round the kitchen whilst I’m cooking dinner. 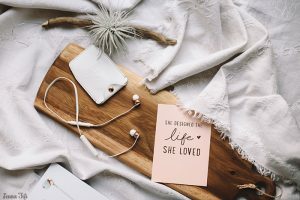 Thanks for reading and let me know your thoughts on wireless earphones and when you’d use them!